Was the Resurrected Jesus a Zombie? 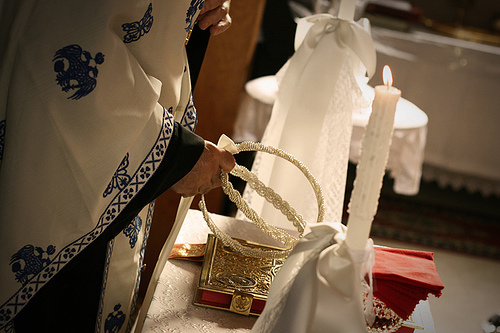 What is the Presanctified Divine Liturgy? St. Silouan the Athonite: "Adam's Lament"
Marriages between Ascending and Descending Blood Relatives are prohibited. All Collateral Blood Relatives are prohibited to marry up until the seventh degree, that is, up until the second cousin. Eighth degree and beyond are allowed, such as a male third cousin and a female third cousin, or a male second cousin with the granddaughter of his second cousin. a. Marriages between two kindred by affinity in which the one kindred furnishes but one party lineally. b. Marriages between two kindred by affinity in which the one kindred furnishes two parties lineally. The same above applies with Mothers and Daughters, Fathers and Daughters, Mothers and Sons marrying those mentioned. The same goes for Grandparents and Great-Grandparents. There must be six degrees of separation. c. Marriages between two kindred by amity in which the one kindred furnishes but one party laterally. 1. A Man and his Wife's Sister after her death. 2. A Man and his Wife's First-Aunt and Niece after her death. 3. A Man and his Wife's Grand-Aunt and Niece after her death. 4. A Man and his Wife's First Cousin after her death. 5. A Man and his Wife's Second-Aunt and Niece after her death. 6. A Man and his Wife's Grand-Aunt and her Niece's Daughter after her death. 7. A Man and his Wife's Second Cousin after her death. 8. A Man and his Wife's Granddaughter of her Cousin after her death. The same applies with a woman and the relatives of her husband after his death. There must be six degrees of separation. d. Marriages between two kindred by affinity in which one kindred furnishes two parties collaterally. 10. A Man may not marry the wife of his Father or Grandfather if they have more than one wife. 12. A Man with the Wife of his Brother after he died. 13. A Man with the Wife of his Uncle after he died. 14. A Man with the Daughter of his Mother-In-Law by another man. 15. A Man with the Sister-In-Law of his Son, or of his Grandson, or of his Great-Grandson. 16. A Man with his own stepdaughter, i.e. a daughter, or a granddaughter, or a great-granddaughter of the wife whom he has divorced and who had them by another man either before he took her to wife, or after he married her. There must be six degrees of separation. 1. A Step-Father with the Wife of his Step-Son after he died. 2. A Step-Mother with the Husband of her Step-Daughter after she died. 3. One and the same Man may not marry the Sister and the Stepdaughter of his Wife's Brother. 4. One and the same man may not marry a proximate niece and the wife of her proximate uncle. 5. A Step-Father may not marry the Step-Daughter of his own Step-Daughter. 6. A Wife’s Brother may not marry the woman who was a Second Wife of the Husband of his Sister, that is to say, of his Brother-In-Law, after the death of his Sister. 7. A Father and his Son may not marry a Husband’s Sister and a Sister-In-Law. 8. Two Brothers may not marry a Step-Mother and a Step-Daughter. 9. Two Brothers may not marry a Mother-In-Law and a Sister-In-Law. All marriages that exceed the third degree, and are of the fourth, or of the fifth, or of the sixth degree, and so on, in respect thereof are allowable. "This relationship results when one sponsors a child at the ceremony of Holy Baptism. For the man who undertakes this sponsorship is making the child in question his spiritual son or daughter, as the case may be; accordingly, he in fact becomes a closer and more intimate relative and father of the child than is its carnal father, because just as much as the spirit is higher than the body the relationship of the spirit is higher than that of the flesh." 1. A Godfather (or his Carnal Son) may not marry his Goddaughter, i.e., any girl that he has baptized. 2. A Godfather (or his carnal Son) may not marry the Mother or Daughter of his Godchild. 4. Nor may any Child marry a Daughter of his Father's Goddaughter. 5. If perchance Two Children, one male and the other female, happen to be baptized by one and the same Godfather, they may not marry each other. 6. A Man may not marry the Widow of his Spiritual Brother. 7. If the Husband baptizes One Child, and his Wife another, these Children may not intermarry. 8. A Son-In-Law may not marry the Goddaughter of his Father-In-Law. There must be four degrees of separation. 1. Deacons and Presbyters may marry before ordination, but if their spouse dies or if there is a divorce they are prohibited from any further marriage, unless they leave the priesthood. 2. Bishops are not to marry under any condition. Remarriage is forbidden in the Orthodox Church, yet out of condescension to the weaknesses of humanity the Orthodox Church does allow remarriage under certain conditions. 1. If a layperson remarries under the lawful conditions of the Church, they are only allowed to be remarried up to two times beyond the first marriage. Fourth marriages are prohibited to all under any condition. Canonical and theological reasons preclude the Orthodox Church from performing the Sacrament of Marriage for couples where one partner is Orthodox and the other partner is a non-Christian. As such, Orthodox Christians choosing to enter such marriages fall out of good standing with the Church and are unable to actively participate in the life of the Church. While this stance may seem confusing and rigid, it is guided by the Orthodox Church's love and concern for its member's religious and spiritual well-being. a. The non-Orthodox partner shall be a Christian who was Baptized with water in the name of the Holy Trinity in a denomination that expresses a belief in the Holy Trinity. b. The non-Orthodox partner shall be willing to have any children issuing from the marriage Baptized in the Orthodox Church as well as raised and nurtured in accordance with the Orthodox faith. (1) Assembly of God (2) Buddhism (i.e., a Buddhist) (3) Christian Scientist (4) Disciples of Christ (5) Members of any Far Eastern Religion (6) Hinduism (i.e., a Hindu) (7) Islam (i.e., Muslims) (8) Jehovah's Witness (9) Judaism (i.e., a Jew) (10) Mennonite (11) Mormon (also called "Latter Day Saints) (12) Any Non-Christian (13) Pentecostal (14) Quaker (15) Salvation Army (16) Seventh Day Adventist (17) Spiritualist (18) Swedenborgian (19) Unitarian (20) Cults or New Age movements. "Adoption imitates nature, but nature never generates a brother, but only a son. So adoption, as imitating nature, cannot make a brother. Hence such a thing as making a brother by adoption not only is not practicable or to be considered to constitute an obstacle to marriage among themselves of such allegedly adopted brothers, but neither ought it to be projected at all. For it ought to be rejected from the Church of Christ, on the ground that it is the cause of many evils and of the perdition of souls to most of them, and merely affords matter for some persons to fulfill their carnal desires and to enjoy sensual pleasures, as countless examples of actual experience have shown at various times and in various places." St. Nikodemos warns here of the dangers of Adopted or Blood Brotherhood rituals turning into homosexual relationships. This applies to any form of homosexual relationship from becoming a marriage as well, since a homosexual marriage (between two men or two women) was unthinkable to the Fathers of the Church who composed the canonical prohibitions of marriage. This refers to an engaged couple who have been formally Betrothed in a church by a priest. Today betrothals tend to be informal until the wedding day, when a Betrothal ceremony is combined with the Wedding Service. 1. Laymen are forbidden to marry a cousin or any other person related to their fiancée after she has died while they were engaged. 1. Monastics are forbidden to marry under any circumstance. 1. Bigamy and Polygamy are forbidden in the Orthodox Church. Christian brethren, I beg of you, for the love of God, not to importune the holy bishops often by use of external means, to allow you to contract such unlawful marriages when they do not like to do so. For the aforesaid St. Sisinnius asserts that it is on account of these violations of the law that earthquakes, plagues, famines, wars, droughts, and other manifestations of divine wrath befall us; and that all those who want to have such marriages are prompted not impassively, but either by a desire of glory or of wealth or of nobility or of beauty or of some other passion. That is why such persons never make any headway in life, but, on the contrary, the wrath of God pervades their houses and annihilates them, since from the beginning they do not acquire the blessing of their spiritual mother the holy Church, but instead her curse, which roots out the foundations of their houses, as Sirach says: “but the curse of the mother roots out foundations” (3:9). Blessed are in truth those prelates who can be persuaded neither by gifts nor by threats and human fear to permit such unlawful marriages. All those persons, in fact, who suffer damage, or infamy and wounds, for keeping the divine laws and Canons are indeed Confessors and will be deemed to be really worthy of the crowns of martyrs. Final Note: The Canons are guides in the pastoral ministry of the Church for the spiritual maturation of the faithful, to help the members of the Church be healed of their weaknesses and passions and elevate them spiritually through her sanctifying grace. It is in this light that the above marital prohibitions should be viewed. There may be some minor differences among the various Orthodox jurisdictions in how they are applied, and sometimes even how Bishops may choose to apply them. For example, certain jurisdictions may not allow intermarriage with certain non-Orthodox Christians that another jurisdiction may allow, and vice versa. Sometimes, in extreme and unique situations, these canonical prohibitions can be allowed by economia, or leniency, as has been the case historically. For example, in isolated villages the prohibitions on relatives marrying have been slightly reduced a bit, since most in the surrounding villages were related in one way or another. Or one can even cite how after World War I, certain Serbian clergy were allowed to remarry since many of their spouses had died or were killed prematurely, and they were forced to raise their children alone, which caused a disturbance in that area. In certain cases, especially under Ottoman occupation, Orthodox women were forced to marry Muslim men, and the Church allowed this by necessity and kept them in good standing with the Church. Even divorce and remarriage, which is not allowed in the Orthodox Church, is allowed in certain circumstances, depending on jurisdiction. Therefore, if there are any questions regarding the above Canons and prohibitions, refer to your local Priest, who can refer to his Bishop. Any deviation, however, can only be blessed by the local Bishop, yet deviation is highly discouraged, as St. Nikodemos informs us above. It is also argued that these prohibitions are later developments of the Church, and are therefore either out of date or not in accord with the Apostolic tradition. However, that these are later developments is not entirely true, except for a few situations. It is true the definitions were later developments, but the practice of prohibiting marriages goes back to Apostolic times, and in many cases things were a lot stricter in the early Church. The Church condescends to the weaknesses and situations of people as much as possible, but it has its limits and always has and will. In the few cases the Church has become stricter, it is because the Church over time grows in wisdom after observing some negative results from allowing it in the past, and may have only allowed it due to the situation of her infancy or her stand in society. Two cases in point is how the early Church allowed Bishops to marry and also allowed Christians to marry pagans, though discouraged it. The expansion of the Church and the Christianization of the Roman Empire allowed the Church to reach its ideal situation by prohibiting Bishops from marrying and no longer allowing Christians to marry non-Christians and heterodox, since Christianity no longer existed on the margins of society as a persecuted faith. The Church always has the interests of her members in mind, but it must responsibly and faithfully apply its rules to individuals for the good of the entire Church and her mission, and even for the sake of the world at large.